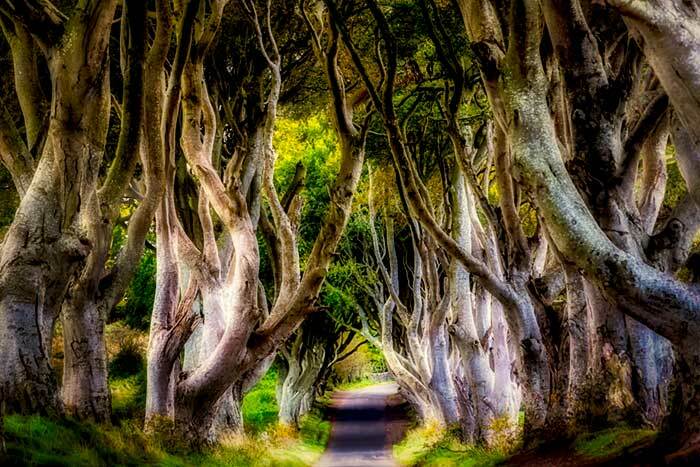 The Dark Hedges in Northern Ireland was a filming location in Season Two of the “Game of Thrones”. Arriving at the location and viewing the oddly shaped trees, certainly explains why the site was chosen for the series. This entry was posted in NJ Corporate Photographer, NJ Headshot Photographer, NJ Lifestyle Photographer, NJ Portrait Photographer, Photoblogging, Photography and tagged Dark Hedges, film location, Game of Thrones, Landscape, Leisure, Life, Northern Ireland, Photography, Photos, Pictures, Show, Television, Travel, Trees, TV.